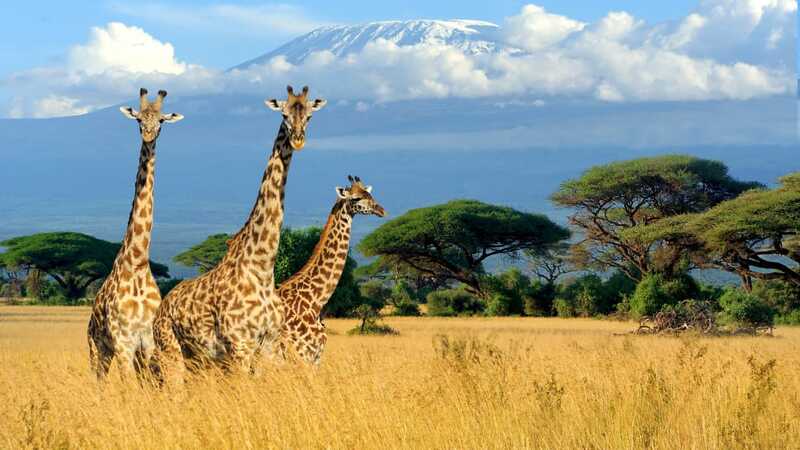 The perfect taste of Kenya: Nairobi, plus a boat safari on Lake Naivasha & 3 game drives in Masai Mara. Connecting flights from Charlotte (CLT), Boston (BOS), Miami (MIA), Los Angeles (LAX), Phoenix (PHX), Denver (DEN), Orlando (MCO), Atlanta (ATL), San Francisco (SFO), Washington D.C. (DCA), may be available. Some schedules may require an overnight in NYC prior to departure for Kenya. Request pricing when making your reservation. For 2019 Departures: Connecting flights from Charlotte (CLT), Boston (BOS), Miami (MIA), Los Angeles (LAX), Phoenix (PHX), Denver (DEN), Orlando (MCO), Atlanta (ATL), San Francisco (SFO), Washington D.C. (DCA), may be available. Some schedules may require an overnight in NYC prior to departure for Kenya. Request pricing when making your reservation. Unfortunately, we do not offer flights from cities not listed, but you can book your own connecting flights. Daphne Sheldrick Elephant Orphans' Nursery, Karen Blixen Museum, Langata Giraffe Center, Lake Naivasha Boat Safari, Masai Mara Game Reserve. This fast-paced, partially escorted tour includes a reasonable amount of walking or hiking and requires an average level of physical fitness. This tour also includes long scenic drives between destinations, sometimes on bumpy unpaved roads and may have limited rest stops. Who wouldn't include Kenya on their "bucket list" of places to see? Our 8-day Kenya Safari Express is one you won't want to miss! Our package includes great hotel & lodge accommodations, daily buffet breakfast, lunches & dinners on safari, and plenty of touring. You'll see orphan elephants at Daphne Sheldrick's Elephant Nursery, embark on a thrilling boat safari on Lake Naivasha, experience amazing game drives in the Masai Mara National Reserve and much more! And as always, Empire Dynasty Travel style, we've managed to package a dream vacation at a price that is unbelievable, even to us. See our detailed itinerary below for day-by-day descriptions. 2 nights Naivasha Sopa Lodge Breakfast, lunch & dinner. After breakfast and check-out, visit the Daphne Sheldrick Elephant Orphans' Nursery, where young orphaned elephant babies are hand-raised until they are released back to the natural habitat in the Tsavo National Park. Here they are able to mingle freely with the wild community. After Breakfast, discover Hell's Gate National Park, named for the intense geothermal activity within its boundaries. It is a remarkable quarter of the Great Rift Valley. Spectacular scenery including the towering cliffs, water-gouged gorges, stark rock towers, scrub clad volcanoes and belching plumes of geothermal steam make it one of the most atmospheric Parks in Africa. You may see African buffalo, zebra, eland, hartebeest, Thomson's gazelle, baboons, klipspringer antelope and Chandler’s mountain reedbuck. Return to lodge for lunch. After breakfast, depart for the Masai Mara. This park offers wonderful scenery and plenty of game viewing. It is perhaps the only region remaining in Kenya where the visitor can see animals in the same abundance and variety as existed a century ago. Here among the grassy plains and lush landscape, you'll find lions, cheetahs, buffalo and abundant bird life such as ostriches, cranes and storks. Continue your discovery of the many species of wildlife in the park today on two game drives, one this morning and another later in the afternoon. You have the option of replacing the morning drive with an optional balloon safari, which provides a thrilling opportunity to soar high over the plain for animal viewing from above. Whether you go by air or land, you will enjoy searching for animals native to this fascinating and beautiful area guided by your expert driver, who will amaze you with his ability to spot game hidden in the bush. You may see a variety of antelope, including wildebeest, and Thomsons & Grant gazelles. The "Big Five" are all found in the Masai Mara, as well as cheetahs and bat-eared foxes and many other varieties of wildlife. Enjoy a once-in-a-lifetime opportunity to take a balloon ride across the Masai Mara. Weather conditions permitting, your flight begins in the pre-dawn hours, when the view over the park is most magnificent. Toward the end of your adventure, you'll rise to a height of 1,500 feet for a panoramic view of the twisting Mara River and the savannah below. After an hour or so in the air, your safari finishes with a champagne breakfast in the bush, cooked on the balloon's burners. Flight may not operate if weather conditions are not suitable. This afternoon, you can get an in-depth look at this colorful and pastoral people in their natural setting. Experience what the Masai tribal life is like as you walk through a traditional village compound. You'll be greeted by the village chief and be escorted around the village by a local host who will explain the history, culture and practices of the Masai. Before departing the village, enjoy a cultural performance by the young men of the tribe, the famed warrior "morans". Credit cards not accepted for this excursion. Crowne Plaza Nairobi Airport or similar (day-use room). Breakfast & dinner (or lunch). After breakfast, depart the Masai Mara for Nairobi. Upon arrival, enjoy an "all you can eat" farewell lunch at the famous Carnivore Restaurant. After your meal, proceed for a visit to the Karen Blixen Museum. Before becoming a museum in 1991, the house and surrounding 4500 acre farm were owned by "Out of Africa" author Karen Blixen from 1917 till 1931. Transfer to your day-use room to relax and freshen up. Bid farewell to Kenya as you transfer to the airport for your return flight. The InterContinental Hotel is centrally located in downtown Nairobi and is only a 15 minute drive from the International Airport. The hotel's proximity to various attractions makes it easy for guest s to maximize their time in Nairobi. Why are single rooms more? Guest 3 Email (YOU MUST USE THEIR EMAIL ADDRESS--NO EXCEPTIONS! All reservations can be paid in full at the time of booking if there is availability of the event at that time. It is the responsibility of the guest to be sure that they can attend each event before submitting a deposit. It is also the responsibility of each guest to be sure that travel mates are also making monthly payments. All payments to Empire Dynasty Travel are non-refundable and nontransferable. This is because Empire Dynasty Travel has contractual agreements with hotels, airlines and other vendors that will not allow us to obtain any refunds. With these contracts, we can keep our package prices low and allow you to make monthly payments on your vacation. Monthly payments due dates are the 15th of the month. The final payment date is May 15. Please view the contract for the payment due dates. Late payments will incur a $25 late fee. Once a late fee is assessed, your invoice will be adjusted, and the late fee must be paid with your next monthly payment. One (1) late fee per room can be waived and refunded as a courtesy of Empire Dynasty Travel after the final payment is made. All final payment dates are clearly noted on the website of the event you have selected. It is your responsibility to be sure payments arrive to us on or before that date. All payments must be submitted before 11:59 PM CST on the final payment date. If you fail to submit your final payment by the deadline, your reservation will be canceled, and all funds will be forfeited.